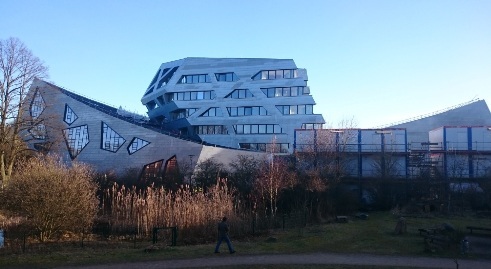 The New Central Building of the Leuphana University Lüneburg, designed by Daniel Libeskind, was to be planned in terms of room- and electroacoustics (including voice alarm). For the Auditorium Maximum, where an unusual sound field was expected due to walls sloping outwards, ceiling ceiling panels were developed to generate early reflections in order to ensure a subjectively pleasing and usage-oriented audibility. 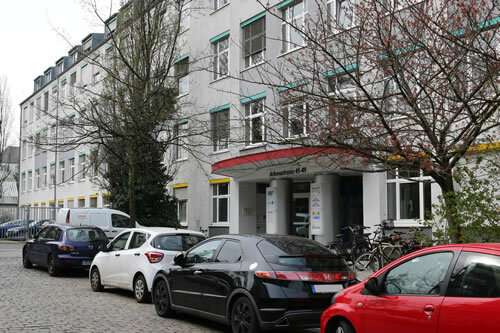 Also, additional room acoustic measures were required to adjust the reverberation time, to prevent adverse reflections and create conditions for high speech intelligibility when using the planned sound reinforcement system and voice alarm system. In doing so, various usage scenarios were to be taken into consideration, which are made possible by the movable and parkable seating platform. The task in the foyers was to ensure a usage-oriented acoustic comfort through low reverberation times and thus low background noise levels through high damping, which is also a prerequisite for high speech intelligibility when using the intended voice alarm system.